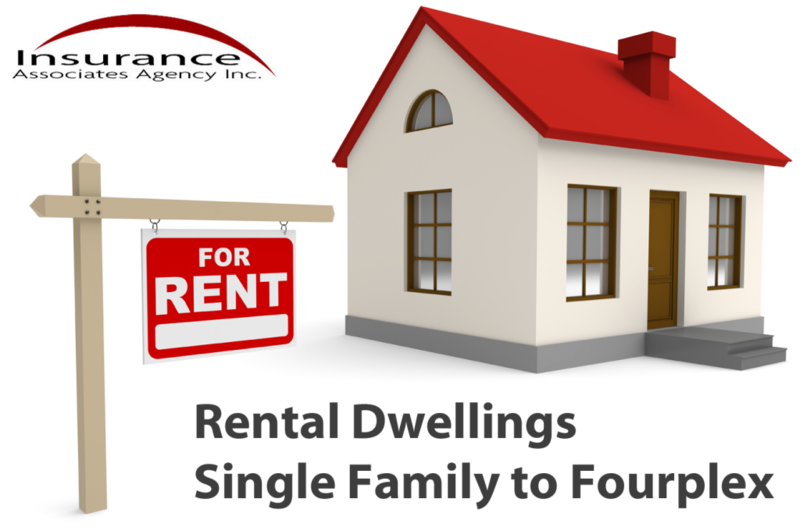 Having the right landlord insurance begins with understanding the rental dwelling and home rental business. There has been a tremendous change of ownership through the economic decline of the last 5-7 years as homeowners and property owners defaulted on their mortgages. A great place to find a bargain has been the monthly Sheriff tax sales where properties have been purchased for (literally) pennies on the dollar. As an agent that is actively involved in providing landlord insurance for rental dwellings, I have been able to make a few observations about the business of owning and managing rental properties. First, the maintenance of properties might be the first signal to a prospective tenant about whether you will be a good owner. If you’re an owner, maintaining your properties will attract better tenants and help you avoid liability for events that arise out of the condition of your properties. Maintenance is the most frequently cited reason by our carriers to request cancellation of coverage and is likely the biggest reasons you can’t break a cycle of attracting bad tenants. While landlord insurance is structurally similar to the coverage you have on your home, owner occupied property is not subject to the risks you face as a landlord. For example, I have a hard time imagining how you will run afoul of the Fair Housing Laws under a homeowner policy. On the other hand, wrongful eviction and invasion of privacy are easily more of an exposure to you as a landlord renting dwellings to others. Consequently, you need landlord insurance that covers these liability for personal injuries. Your own actions might be controllable but you’ll also be vicariously responsible for the behavior of tenants and the liability they bring to property through their actions. A frequent area of concern is the types of animals that you permit to be brought to your property. Dog bite claims continue to rank as one of the most difficult to defend losses and even minor events can blossom into full on legal lawsuits that wend their way through the Court system. Another concern is the possession of exotic pets and these run the gamut from reptiles like constrictor snakes, to insects, to vermin and even harboring large predatory cats breeds that don’t belong in places people habitate. That brings on the most frequent conversation you need to have with your tenants: Do you have tenant insurance? Absent the tenant having personal liability insurance, the cost of losses often become your responsibility as the property owner. There is an entire industry of attorneys that believe your ownership of property makes you liable for everything that happens on the property. If you can’t demonstrate active management and reasonable discretion and application of rules, you will wither under these legal assaults. Even if you win every single time you will have spent loads of precious time and your time has no value. It will be your gift to the plaintiff’s bar as they try to find a way to make your deep pockets responsible for all that is wrong in the world! In many small ways you have to maintain reasonable control over your properties and permitting illegal or dangerous activities can expose you to the claims of negligence that develop from the activities of the tenants. You need to demonstrate active and engaged management of your properties. You can’t abdicate your role as property owner and you cannot let your tenants dictate your reasonable policies. Setting rules is permissible. Insisting upon tenant insurance is reasonable. When you fail to manage you are leaving yourself open to judgment if and when a lawsuit drops in your lap. Let’s just talk about a few examples. Drug activity might be an example where your indifference creates not only the allegations of negligence and liability, but the potential loss of the property under seizure laws. These days you cannot be an inactive owner and while Fair Housing Laws are complicated and placed a big burden on rental dwelling owners, not creating and adhering to a standard operating plan can be one of the easiest ways to demonstrate to a Court that your malfeasance and indifference make you responsible for the events and the liability, at least to some degree. Think this is a stretch? I have one owner who did everything right except insist that the tenant have their own tenant insurance policy (which includes personal liability coverage) and three years later his insurer is still paying thousands of dollars every month to defend him in court against a dog bite claim. The pet owner and tenant has lost his case in default. The judgment was for over $750,000. Unable to recover from the tenant (who is a dry well), they are attempting to force the property owner to pony up the cash or the coverage. The owner get’s it now as his time and retirement are interrupted almost constantly by the stress of depositions and the constant fear his personal wealth will be attached. He only has $300,000 of liability coverage. Why would you ever want to put your good name, liability insurance, and personal assets on the line for your tenant? There is always a cost for doing business the right way. This cost is a surprisingly small additional cost if you add up all the ways you get tangled up by a casual or lacksidaisycal management of your properties. Landlord Insurance isn’t particularly complicated but approaching property rental as a hobby will almost certainly leave you open for risk. Your success in life has placed you in the position of being able to afford the ownership of rental property. Don’t let a casual approach to rental property ownership become a sucker root tapped onto your future. As an insurance agent with over 36 years direct experience in helping owners like you protect their interests, I have great value to you. As an insurance agent who also rents property and has 33 years of relevant experience as landlord himself, I have a unique position of relevance in the conversation about landlord insurance and insuring rental dwellings. Follow this link to an outline of landlord insurance on our dwelling policy forms.